Creating more than just a class schedule, Southern Utah University students are taking the initiative to step out of the library and into their community to give back by collecting Christmas gifts for impoverished children, providing medical care to underserved villages in the Dominican Republic, and beautifying public lands all in the name of service. And to that end, SUU’s student body completed 197,000 hours of service last year – and that’s just the hours that were recorded. Year to year, SUU continues to uphold its status as the school in the state that gives back. “The number of service hours that we record for an institution of this size is significant,” says Pam Branin, associate director of SUU’s Community Engagement Center. With other universities in the state with triple SUU’s student populace, service hours at this level are still unattainable for those larger institutions. But with a highly engaged student body, SUU T-Birds is literally raking in the hours. And what’s happening here is not going unnoticed. At the close of the year, SUU was once again named to the President's Higher Education Community Service Honor Roll for the fifth year. But the accolades didn’t stop there, on January 7, the Carnegie Foundation released the top universities in the nation when it comes to community engagement and SUU was high on the list, making it just one of 361 U.S. colleges with that distinction. John Saltmarsh, director of the New England Resource Center for Higher Education said of the institutions prestigiously ranked, "These are campuses that are improving teaching and learning, producing research that makes a difference in communities, and revitalizing their civic and academic missions." These awards are the ultimate affirmation of SUU’s success and the applause being heard from these distinguishable institutions shines an even brighter national spotlight on SUU’s students who have been so actively engaged in service. SUU continues to lead the way in Utah when it comes to engagement and it’s student are giving and participating in a variety of community service projects, which help all of Cedar City and the entire southern Utah area. 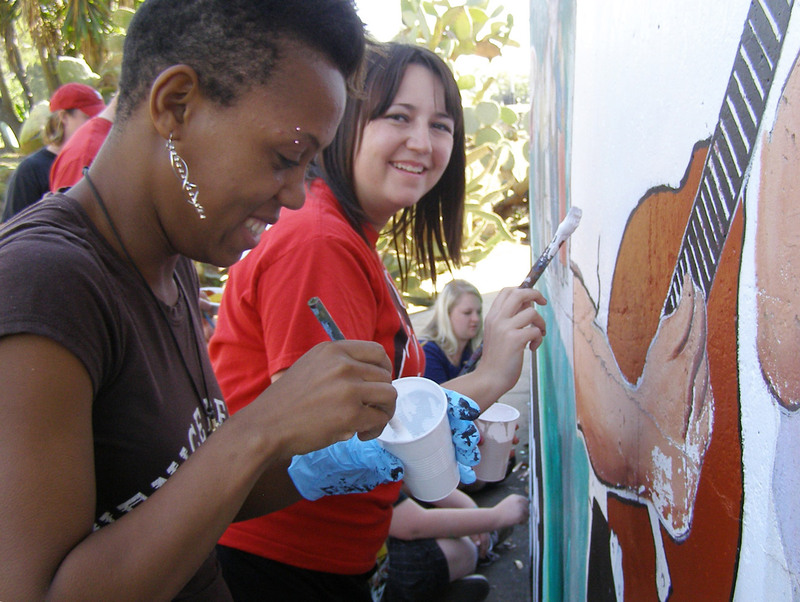 Photo: Students clean and update mural in southern California as a part of the Alternative Break service program.